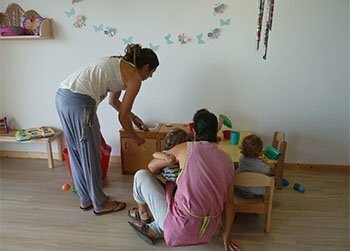 The Formentera Council's Office of Education has announced that registration for the island's nursery schools will run May 2 to 16. Applications can be picked up and will be accepted for submission at the Citizen Information Office (OAC). No late applications will be admitted. Submissions can also be made across OAC's online platform, Virtual Citizen Information Office (OVAC). Included among the enrolment material applicants will receive is a list of information that will be requested and used to determine placement. As per criteria established in educational committee, priority will be given to single-parent households and children from multiple births. Applicants with questions are encouraged to visit Escoleta Sa Miranda Mondays, Tuesdays, Thursdays and Fridays from 2.00 to 3.00pm or Escoleta de Camí Vell on Wednesdays at the same hour. Assistance for used textbook purchases, travel expenses and higher education are among the applications whose deadline will come due May 11, according to an announcement from the Formentera Council's Office of Education. Department head Susana Labrador called the money “a helping hand for local students” and “complementary to anything that may be provided from the other administrations in Palma and Madrid”. This year, as last, the total amount of assistance is €93,000. The Council has pledged €45,000 in aid for second-hand textbooks. The money will go to primary and secondary schools on the island that add used textbooks to their libraries during the 2016-2017 school year. Assistance packages will depend on the number of eligible pupils enrolled at schools with used textbook programmes in place. As a rule, €50 will be dispersed per primary student and €70 for their peers in secondary. Large families and single-parent families will each be eligible for 100% coverage. Help is also available for students in higher education, training, accredited post-secondary and art programmes not offered locally. The Council has said it will put €38,000 into such assistance, dispersing it in €150 increments to students attending class on Eivissa or in distance learning programmes and €450 allotments for students whose studies take them outside the Pityuses. Ten thousand euros (in portions of €1,250) have been earmarked for students who reside on Formentera and apply for higher ed programmes like university, art, vocational training, fine arts and design and sport. Such grants will be available for face-to-face programmes at public institutions. Students of private learning institutions may only apply in cases where a given field of study is not offered at public schools. Eligibility conditions can be found here: http://conselldeformentera.cat/index.php?option=com_content&view=category&id=351&Itemid=437&lang=ca. Applications must be submitted in person at the Citizen's Information Office (OAC) or online via the OVAC. For more information, please contact the Office of Culture, Education and Patrimony of the Formentera Council. The deadline is May 11. Last year 103 students received travel expenses help, eight won grants for higher education and 73 got textbook assistance. 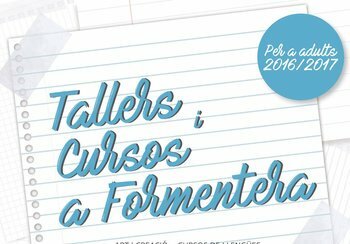 The Formentera Council has announced its autumn-winter catalogue of courses and workshops for adults. The aim is to offer a wide range of options to meet the local demand for educational and leisure courses. This year's catalogue of language courses includes Catalan, Italian and English. The free-of-charge Catalan classes will be given by the Council's language advisory service, Servei d'Assessorament Lingüístic. Morning, afternoon and evening sessions will be offered at the A2, B1, B2, C1 and C2 levels. Enrolment will be open from September 26 to October 13 and lessons will get under way October 17 and 18. The end of the course will depend on the scheduling of this year's round of official exams, projected to take place January 2017. Language instruction is also available for those keen to study foreign tongues. Take, for example, the English courses conducted by Nancy McConachie. Her afternoon classes will start in January and will be offered at the basic and advanced levels. Italian classes, by Rodolfo Taccheo, will also be given. The two courses —in beginners' and advanced-level Italian— will start in January on a morning timetable. Like every year, there will also be workshops with a decidedly more artistic slant. Creación y Pintura (Creation and Painting) will be taught by Teresa Matilla and a woodworking course will be given by Aaron Keydar. Remedios Castillo and Silvia Jobani will teach a course on pottery. Those three courses will begin in November and finish in March. Given the positive response received last year, Toni Ruiz will once again lead a radio production workshop. This theory- and practise-based course from the head of Ràdio Illa will begin in February. As for classes in IT, this year will see the start of a beginner's Photoshop course aimed at addressing some of the most basic tools of this essential image-editing software. Sergio Torres will give the course, which is due to run from February to March. Also new this year is a beginner's digital photography course from Josep Maria Moreu and Pep Martínez. This intensive theory- and practice-based course will provide participants with a variety of photo techniques. The Council will also run a yoga course with instruction by Susanne Laier. Classes start in November at the municipal cinema. Now for the performing arts. Espai F_, a cultural association dedicated to stage productions, and Fortmenterart, a dance and musical theatre group, have put together various courses and workshop for 2016-2017. Espai F_ is, together with IES Marc Ferrer, coordinating an introductory theatre course for youth aged 12 to 16. Classes will be given by Mireia Sobrevela and Miquel Costa. The group is also behind two theatre courses for adults: a theatre laboratory for on-stage training and a course on the psychological work of constructing a contemporary dramatic character. Both courses will be given by Miquel Costa and Mireia Sobrevela. Another course —Inside-Out— is framed around movement. It is geared towards individuals who seek to explore movement within a new body and will be led by Valeria Del Vecchio. With Belén Cabrero at the helm, dance and theatre group Fortmenterart will give introductory and advanced jazz dance classes to adults over 18. Another course, this time with instruction by Siri, will focus on stage acting. Both courses will meet in the municipal cinema. Pre-enrolment will take place from September 21. Individuals interested in participating in courses that begin in November (like pottery, painting or woodworking) have until October 21 to register. Students that wish to take part in January language courses have until December 16 to sign up. For photography, Photoshop and radio production, registration is open until January 16. Additional training opportunities fill out the autumn-winter course catalogue. One will deal with teaching basic restaurant and bar service, another is tailored for youth workers and a third course aims to teach participants about social and cultural integration. Anyone interested in participating should contact the Office of Social Welfare. Finally, the Sant Ferran retirees' club will offer workshops on traditional pursuits like sewing, reseating chairs, basket weaving, wool working, cooking, and ballroom and salsa dancing. Those workshops will also be held in November. For more information, contact the retirees' club. 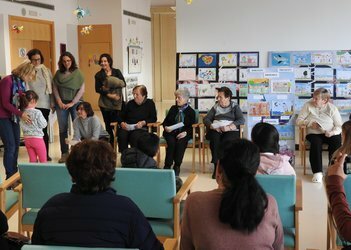 At 11.30 this morning, the vice-president and education councillor of the Formentera Council, Susana Labrador, together with the administration's social welfare and youth services councillor, Vanessa Parellada, met at the Formentera Day Centre to attend the awards ceremony for a drawing contest. “Els meus avis” (“My grandparents”) was organised by the Council as part of the celebration behind Universal Children's Day. Users of the Day Centre were in charge of handing out prizes to six winning school children and two others who received honourable mention. All were given a 50-euro voucher, to be used either on educational or sports supplies according to the youngsters' preference. The contest boasted participation from a total of 500 students from across Formentera's schools. One hundred fifty drawings were selected and will be displayed at the Day Centre entrance through February. On the jury sat professionals and Day Centre users alike. This year has been the second that the administration organises the drawing contest. As part of this year's theme, participants were asked to depict their grandparents. This year is the first time the tutoring will run the entire academic year, from September 26 to the end of the course, and will be free. The classes, which cost the Council 13,000 euros, have benefitted 112 students over the last five years. Parellada credited the decision to continue the initiative with the positive feedback it has customarily received. It is expected that some twenty students will attend the Monday-Friday, afternoon tutoring sessions, for which an exact timetable has yet to be set. The schools must help the contracted instructor, Maribel Jiménez, select which pupils will require the extra help. Parents of interested students have from September 15 to 22 to hand in enrolment applications at the Office of Social Welfare. The tutoring will centre on boosting pupils' scholastic abilities using motivation-based tactics and by favouring a daily-work ethic. The students' school work will serve as a yardstick for additional help in English, Castilian Spanish, Catalan, environmental studies and maths. Furthermore, since learning will be organised in group sessions, social integration and teamwork will also be promoted.